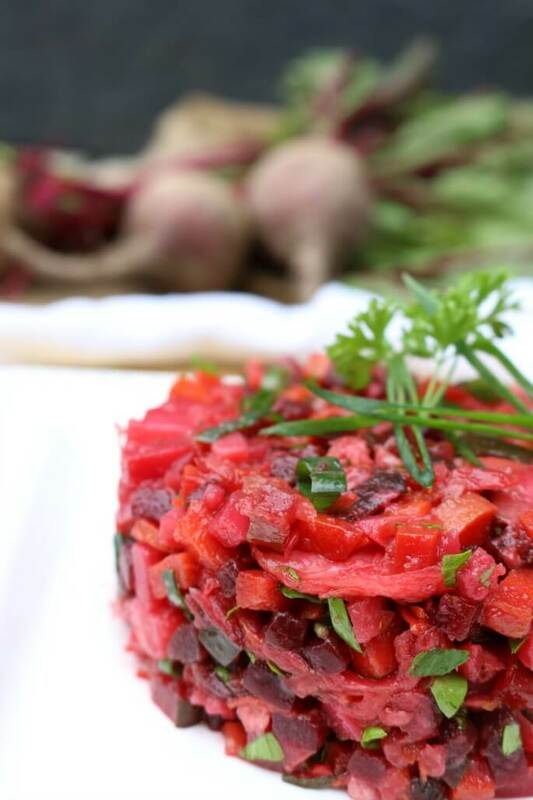 Bring this Nourishing Beet Root Salad to all of summer’s potluck parties to get an extra dose of nutrition: probiotics, healthy root vegetables and resistant starch all tossed in healthy avocado oil, celtic sea salt and fresh garden herbs. 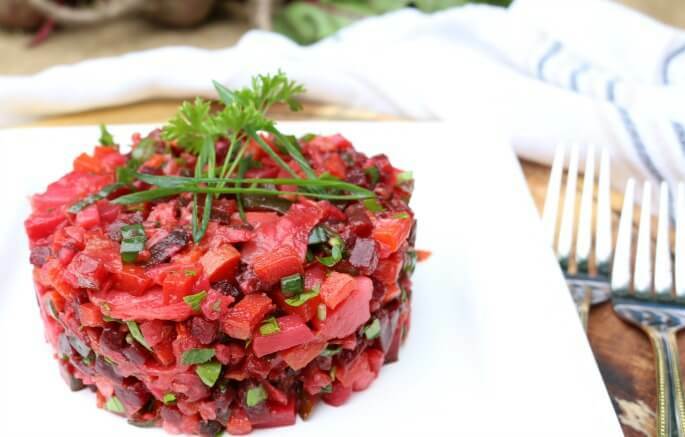 This salad is called Vinegret in Russian (not to be confused with Vinaigrette Dressing) and is the ultimate party salad as it can be made days in advance and holds up well in the refrigerator. 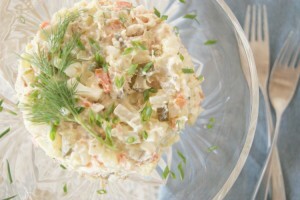 If you’ve attended any Russian gathering, you would be sure to find this salad grace the food table. Traditionally, Vinegret calls for kidney or black beans, so if you’re not on a healing diet, feel free to add them but remember to first soak them for better nutrition. To make this GAPS friendly, omit the potatoes and add 2 cups of soaked and cooked white beans (or cannelini) as they are the only beans allowed on GAPS and will be a great protein source in this salad. If you don’t tolerate any legumes at all, feel free to experiment with celeriac, turnips or rutabaga as replacement for potatoes and completely omit the beans. 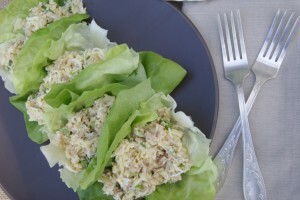 I’m excited to be sharing this recipe over at Real Food Outlaws. 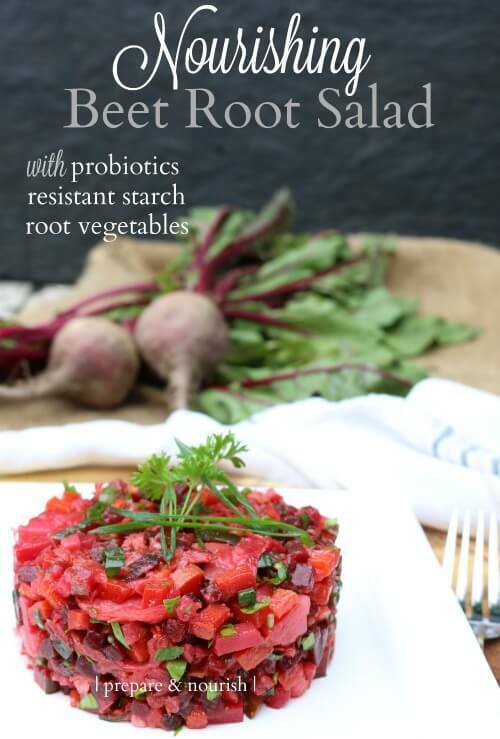 This salad is loaded with healthy resistant starch (potatoes), live probiotics with different strains (sauerkraut and pickles), and is over all a delicious and refreshing salad. Bring this to your next picnic or make some for yourself. 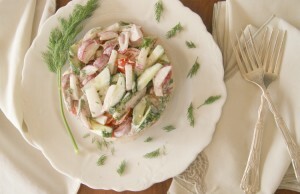 I love how fresh and pretty this salad looks!